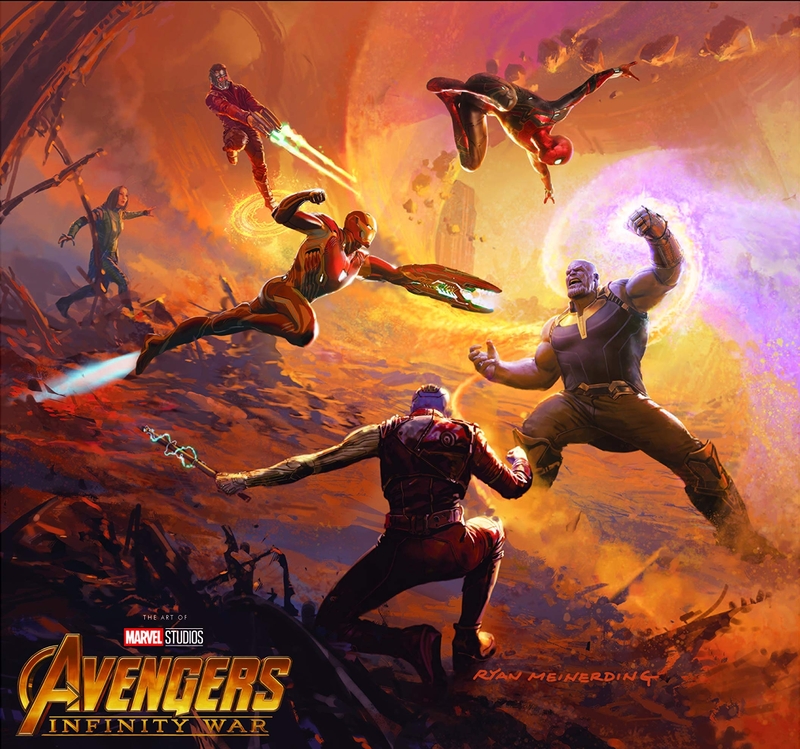 Avengers: Infinity War – The Art of the Movie is almost here. Usually, art books are released around the time a Marvel Studios history hits theaters. To keep spoilers from getting out, however, the Infinity War art book was delayed until November. We are still a few weeks away from being able to have the book on our shelves, but now we can see the stunning cover by Marvel Studios Head of Visual Development Ryan Meinerding. It looks like a keyframe illustration of that epic battle on Titan. The Vis Dev team at Marvel Studios really is an integral part of the company’s success. Their work is incredible and these books are my favorite things to collect from the movies. You can pre-order the Infinity War book here, and for more on the Vis Dev team, check out my recent interview with Ryan Meinerding and Andy Park!